Cartridge solenoid valve, also called logic valve, is a widely used valve type for the hydraulic system. It features in simple structure, compact design and good sealing property. It can be acted as a solenoid valve, directional valve, relief valve or fluid control valve in a large range of hydraulic liquid fluid control system. They generally are controlled by an electric solenoid to perform automation. 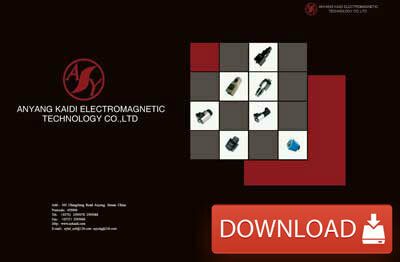 Kaidi supplies different types of the solenoid coil and coil assembly (with tube). These products can be matched perfected with most of the well-known valve brand internationally, including Eaton (Vickers) cartridge valve, Rexroth cartridge valve, Danfoss cartridge valve, Comatrol cartridge valve and more. As the standards can be various, Kaidi also provides custom solenoid service. If you are a hydraulic cartridge valve manufacturer, please leave a message with your requirements by the form below. We are happy to answer your questions.